There’s going to be lots of money given out over the course of 2018 if the early signs are any indication, and it’s nice to see all divisions getting in the action. 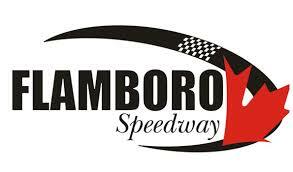 The Mini Stocks will get their opportunity for a big pay day, courtesy of a new initiative at Flamboro Speedway. The Hamilton, Ontario-based oval announced that they will be hosting the “STOCK” Car Nationals on June 10 and July 8, with both events featuring triple 50 lap features for the divisions on hand with 30 pure stocks, 30 mini stocks, and 24 super stocks set to start their respective features. The field will be set virtue of time trial qualifying, with a last chance qualifier possibly being held. So far, it has been announced that as long you qualify for the event, you are guaranteed $60 each for Pure Stock, $100 for Mini Stocks and $200 for Super Stocks; each of the respective overall event winners will each earn $1000. The rest of the payout structure has yet to be announced, but will use a graduated pay scale through the field. Then things get interesting, thanks to the some hard work and dedication from fellow racers. Rich Schwartzenburg has been rallying the troops together to increase the payout for the mini stocks, with Jonathan Ayrton doing the same for the pure stocks. From lap sponsors to contingency sponsors, the purse has only continued to climb. As of December 13 in what Schwartzenburg has posted, here is the breakdown for the Mini Stocks. The Lap sponsors will be done for the first of the three 50 lap features. Schwartzenburg continues to collect donations, and encourages those interested in sponsoring the event to get a hold of him. Schwartzenburg mentioned to Short Track Musings recently that he would like to be able to also have a title sponsor and a couple of contingency like most popular, hard charging, hard luck etc., so a few more sponsors stepping up would be huge for the event. Those interested in sponsoring can contact Rich Schwartzenburg directly on Facebook, or through the event page – https://www.facebook.com/events/320702691669459/.